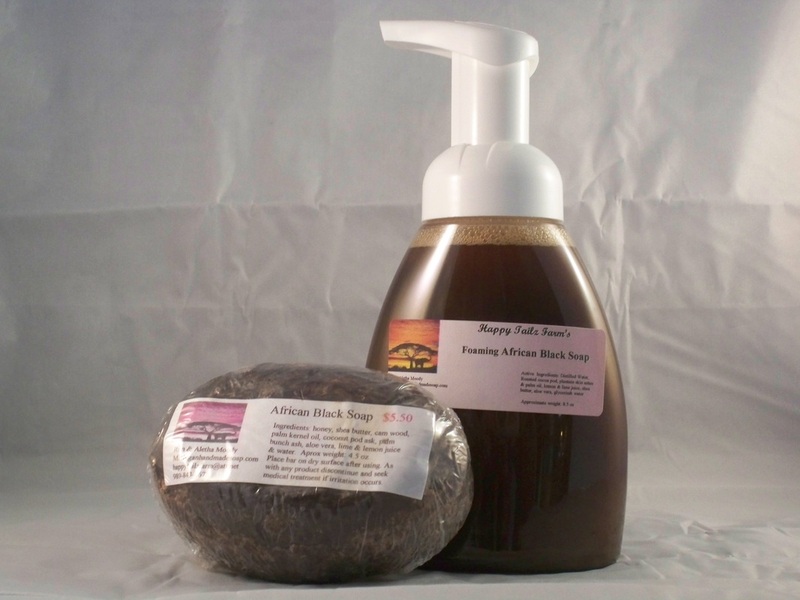 Enjoy the ultimate luxury with our newest soap, African Black Soap. 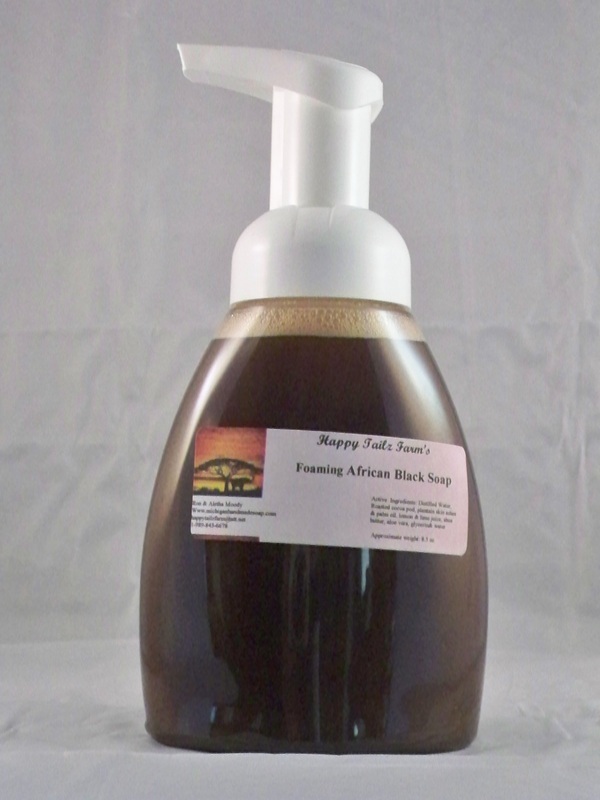 This soap is the age-long, time-tested African Black Soap. It is made by hand from all natural ingredients and herbs from Nigeria, West Africa. Specially formulated entirely from natural ingredients and herbs. This soap will have you feeling refreshed and your skin silky smooth. Restores damaged skin and is helpful in healing chronic skin conditions. Scented with osun (camwood extract), citrus juices, honey, aloe vera and natural vitamin E. It possesses many curative and healing properties as well as enhancing the appearance and feel of the skin. 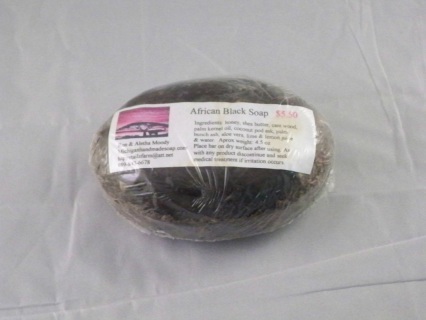 - Natural black soaps help deep clean skin. - Help clear skin bumps and spots by using black soap daily. - Helps oily skin and other skin problems. - It helps prevent premature facial lines and wrinkles. - Can be used as a shampoo. Pure honey, Shea butter, Osun (Camwood), Potassium Palm kernelate, Sodium Palm Kernelate, Glycerin, Aloe Vera, Lime Juice, Lemon Juice, Water and Essential Oils for Fragrance. Cocoa pod is the shell of the cocoa fruit and it too has natural healing properties. Plantain is a fruit that grows in Africa & South America that looks similar to a banana, except it is much larger and tastes altogether different. You can find plantains at many ethnic or international grocery stores.